Crime, horror, thrillers, drama, anything that takes my fancy! It's a cliche to label a survival story "a triumph of the human spirit", but in this case, it's absolutely appropriate. 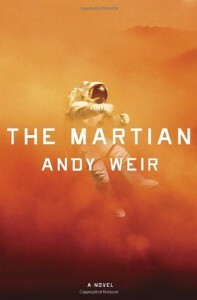 And while some may find the mass (MASS) quantities of science-speak and occasional instances of clunky dialogue off-putting, it's offset by the humor and likability of the narrator. Highly entertaining indeed, even if it did leave me wishing I had paid more attention in psychics class. But what the hey, now I know how to make hydrogen.